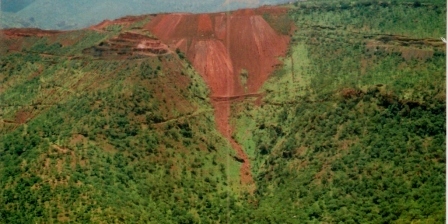 At present KMMI (100% E.O.U) is exporting Iron Ore.
World production of iron ore increased by 10 per cent to reach 1,100 Mts. International iron ore trade also reached record levels at 580 million tonnes. Production increased in almost all major producing countries. Brazil is the largest producer at 245 Mts and Australia remains the second largest producer and the largest exporter China’s production rose by 13%, while India’s grew by 12% and South Africa’s market share fell marginally. World steel consumption increased by 7.3 per cent in 2003. In 2004 and 2005 growth rates were anticipated to fall somewhat which did not happen actually. China will continue to account for most of the growth in global steel consumption. This would seem to point-out a situation with continued strong demand for iron ore and a finely balanced world market over at least the next five years and possibly longer, depending on both developments in the world economy and the speed with which new capacity can be brought into production. In view of the fact that new iron ore capacity is continuously coming on stream, it is likely that iron ore price has increased in 2008 when compared to 2007. As this is a 100% Export Oriented Unit, we supply only to International Markets.